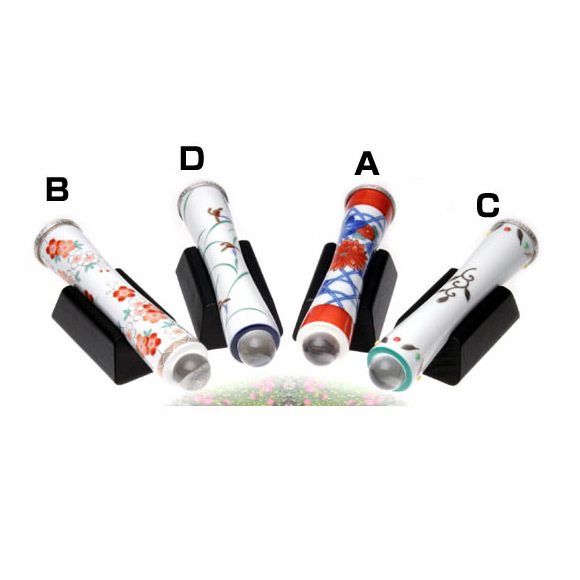 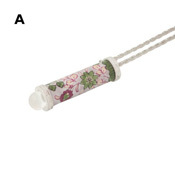 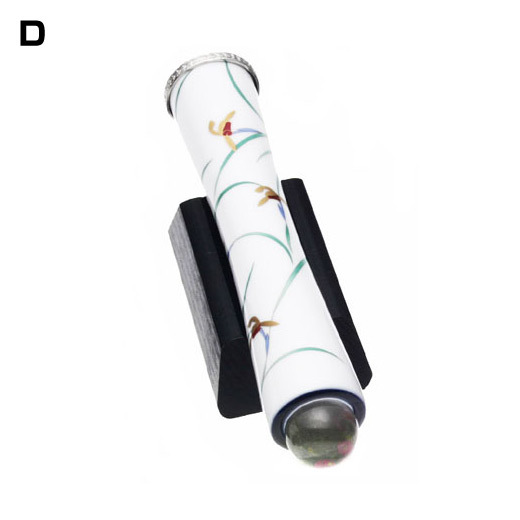 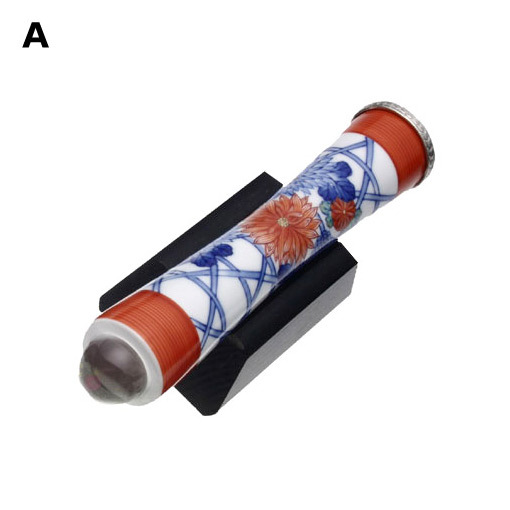 A new Arita-yaki kaleidoscope created through an exhaustive process of trial and error by world-stage kaleidoscope maker Koji Yamami. 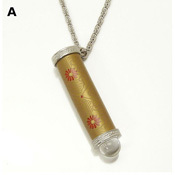 A wonderful item that will move you with its external and internal patterns, and yet can be held in your hand. 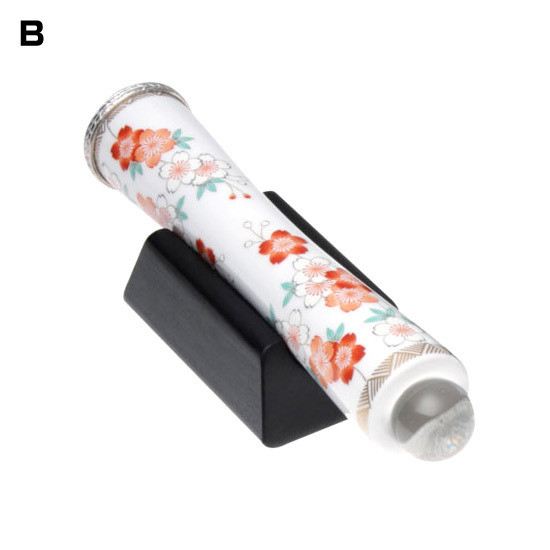 Features beautiful traditional designs, and the chamber at the end lets plenty of light in for a soft transparency that produces magical images. 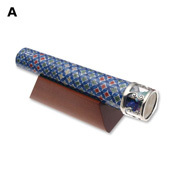 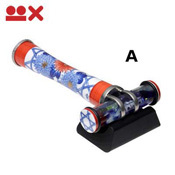 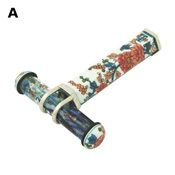 The healing effects of kaleidoscopes have been medically proven, and their use in hospitals has recently been gathering attention. 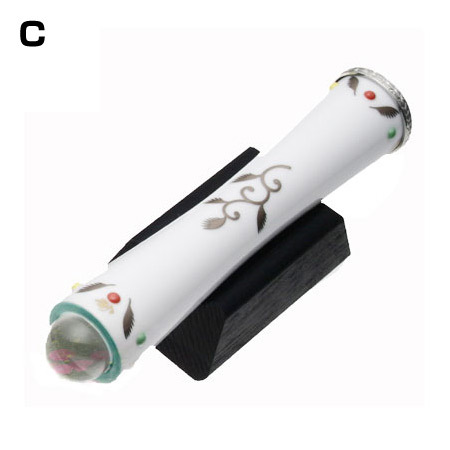 They are used to aid in the recovery of adults with excessive stress, and to exercise the right-brains of children to improve concentration and creativity.